We’ve made it to the weekend, and for that we all deserve a big hearty “CONGRATULATIONS”! Don’t you think? I’m going out for dinner tonight at a restaurant that is known for its cocktails and live music. I’m excited because I love trying new cocktails. It’s one of my favorite things to do. And since I’m a lightweight and can only drink one (mayyyyyyybe two) I want it to be impactful and delicious. One of my favorite go-to cocktails is the martini. I love that there isn’t any ice to water it down if I feel like sipping slowly. I love sweet and savory martinis all the same, depending on my mood. And I’m not afraid of unusual or unique flavor combinations, either. 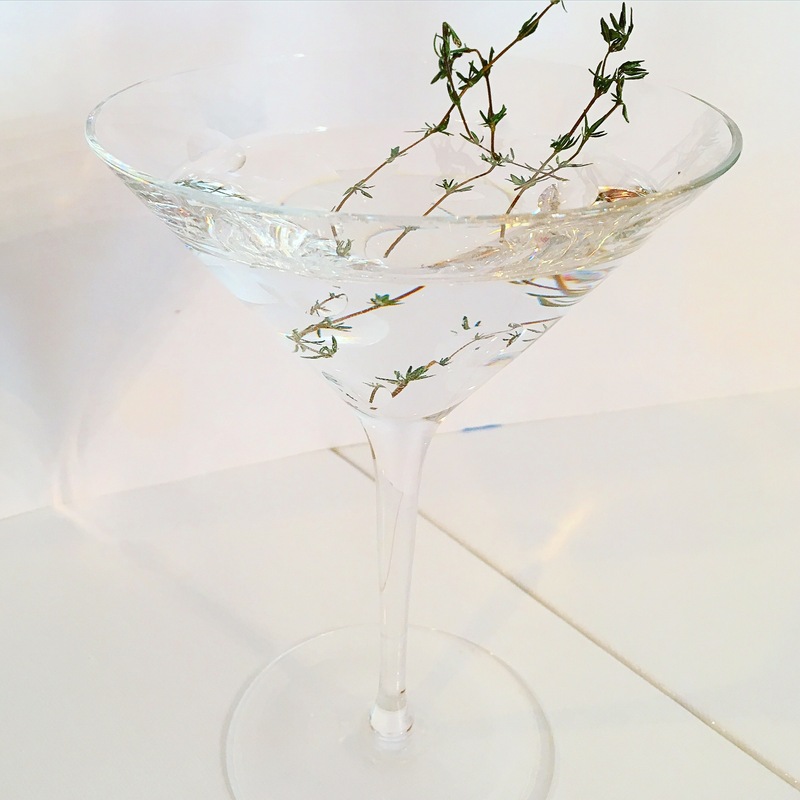 This dry vodka martini is appealing because of the addition of herbs. It’s spring and that means it’s almost time to plant fresh herbs in the garden. If you’re lucky, like me, you remembered to harvest all the herbs last fall before first frost and put them in the freezer for use throughout the year. This recipe is insanely easy and elegant. I hope you enjoy! In a shaker with ice, mix 3 ounces vodka and a drop of dry vermouth. Strain into a martini glass. Garnish with 2 sprigs of your favorite herb.